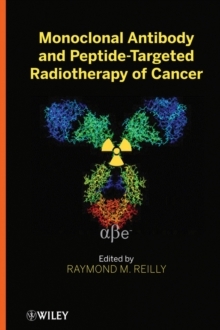 Oncology Book of 2011, British Medical Association's Medical Book Awards Awarded first prize in the Oncology category at the 2011 BMA Medical Book Awards, Monoclonal Antibody and Peptide-Targeted Radiotherapy of Cancer helps readers understand this hot pharmaceutical field with up-to-date developments. Expert discussion covers a range of diverse topics associated with this field, including the optimization of design of biomolecules and radiochemistry, cell and animal models for preclinical evaluation, discoveries from key clinical trials, radiation biology and dosimetry, and considerations in regulatory approval. With chapters authored by internationally renowned experts, this book delivers a wealth of information to push future discovery.